CONNECT, GROW, PROSPER All existing members will be upgraded to the new and exciting platform shortly. 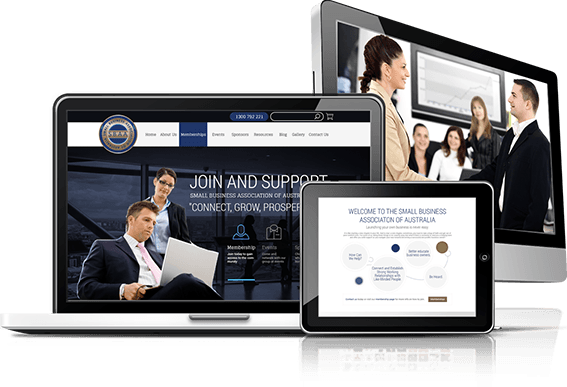 Small Business Association of Australia is dedicated to supporting and helping businesses connect, grow and prosper in the market place. We offer a range of consulting and referral services to get the advice and help you need to build the business you want. We believe that education and knowledge are key ingredients of a successful business, so apart from organising networking events, we also host educational events and learning programs for our members. We provide various learning resources and tools to help members enrich their knowledge of running a successful enterprise. SBAA also offers our members support and referral services in times of adversity. Having legal or financial issues, industrial relation problems or the tax man knocking at your door can be overwhelming for owners and very damaging to the business. SBAA will be there to help guide you through difficult times, act on your behalf or refer you on to the right professional depending on your situation. Take advantage of many networking opportunities at our events, meet like-minded business owners and establish strong business to business relationships. Our premier membership offers the opportunity to connect with industry leaders, as well as opportunities to connect with business investors both nationally and international and personal business to business introductions. If you want to make a change for small business, this is where it starts. SBAA is committed to getting a better deal for SMEs and to do so it needs the backing of small business owners and key stakeholders as members to help it drive that change. By becoming a member, you will also be supporting our work in formulating new ideas and initiatives for consideration by governments for the benefit of small businesses. Membership is open to individuals, corporations and organisations that want a better deal for small business or those that are simply searching for the essential tools needed to grow their business. Our standard membership starts from $250 and is suitable for start-up businesses, those thinking of going into business and sole traders. The premium membership is suitable for companies and partnerships. For organisations, please email info@smallbusinessassociation.com.au to obtain a quotation. Membership is paid to Small Business Association of Australia Pty Ltd, includes GST and is tax deductable for business purposes. Please do not hesitate to contact us for more information or for alternative payment options. If you have issues online, please contact us.